I left off my last post saying that I will write a separate blog post on what else I managed to do on Sunday. As I mentioned, we went for a morning hike which left me feeling with this incredible zest for life – a great way to start off a new week, I must say. After resting a bit to recuperate, the husband and I set off to the V&A Waterfront for a little date on the Wheel of Excellence. We bought a ticket off Groupon which gave us 50% off and since I always wanted to catch a ride on this beauty of a structure, we took advantage of the deal. I know that going out these days, especially with the economical climate here in South Africa, can be really tough. Petrol is a big consideration where ever you want to go because it costs so darn much. But I refuse to accept this as an excuse to not be able to explore. I love adventure and it is my dream to travel more, which is why I am starting in my own city. Hopefully this will encourage you to get out more too, I tell you, it makes Mondays a lot less blue. After writing my last post, I’ve been more motivated to explore this beautiful city that I call home. Summer is headed our way and it feels like a long lost friend that we are welcoming with arms wide open. I want to start writing more about Cape Town with all that it has to offer, and to record the places I have seen. Hopefully this would inspire me to do more so that I can combat the FOMO. Sunday morning we went for a hike with some of the cousins. I have seen so many pictures of the Cecilia Forest and I just had to get out there to see this beautiful piece of Cape Town that up until recently I never knew existed. Even though I am feeling the after effects now, it was amazing to get out of bed on a beautiful sunny morning and be outdoors. When we reached the waterfall I was blown away. Believe me these pictures do absolutely no justice to the beauty of it. It was wonderful to get in touch with nature and enjoy the fresh morning air. The hike made me feel like I’ve done something productive for the day with so much time left to spare. 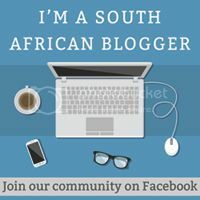 But I am keeping that for a separate post… So this is it for now – I hope you take advantage of the beautiful weather we are having here in Cape Town. And if you are reading from a different part of this beautiful world, then I hope you stop the FOMO by being a tourist in your home town. If you’ve read my very first post, you would see that right from the start of this blogging journey, I suffered writer’s block. I could not for the life of me write anything that I deemed worthy of being placed onto the internet. I felt overwhelmed because there was so much I wanted to say, but still I couldn’t write anything. I looked through pictures I’ve taken and listened to some music that I adore. I started creating my own inspiration, and my muse was, well, me! Don’t feel pressured by what’s happening on the outside. Just be yourself – tell your story or create a new one. I find that whenever I sit down with the intention to write a post I just can’t seem to come up with anything! So what I do now is, I pull up a blank document on Word and I just write. About anything and everything. I write about things that are important as well as insignificant ramblings that pops in my head. Don’t worry about spelling errors and structure; just let your thoughts flow onto the blank canvas before you. Soon enough you will find the hidden gem that needs a little bit of polishing, just waiting to be your crowned jewel. There are times when I feel I really need some motivation. I check out whats happening on Pinterest or I read some new posts on Bloglovin. I end up spending my whole day on these platforms, with nothing to show for it. When I feel I really want to write something and I’ve completed step 1 and 2, I ignore any form of social media, because it ends up distracting me from my goal – to write!! If you’ve read this post then you would know that I have been going through some stuff lately which has lead to me feeling really down and uninspired. I wrote that post to just get all those thoughts out of my mind, and put it out there so that it can be something REAL that I can keep coming back to. Sometimes you just have to clear your mind. Write from the heart. I think it helps a lot to unwind; it frees your thoughts so that you can move forward. Writing that post made me feel so much better – lighter. I feel more relaxed to write. I feel motivated to do everything I kept putting off before. Sometimes we put way too much pressure on ourselves and we end up feeling overwhelmed because we feel the need to produce. These days when I sense that feeling coming on, I step back and take it easy. I remind myself its not the end of the world. By taking that pressure and stress away you will feel more at ease with yourself. You will create a frame of mind for yourself to just enjoy what comes. These are just a few tips that has really helped me lately. What helps you beat writer’s block? I’d love to know. It’s a dream of mine to travel the world and explore different cities. To take a picture next to the pyramids of Giza in Egypt, look down from atop the Leaning Tower of Pisa in Italy, walk along the Great Wall of China and bask in the sunlight on the golden sands of Mauritius. And even though I haven’t travelled much (yet!!) I am fortunate to have seen some beautiful places in my short lifetime. However, there’s just something about coming home. Even if I am visiting a place near Cape Town for a couple of hours, on the drive home looking over the distance I find this sense of relief and comfort when my eyes catch that first glimpse of Table Mountain. As a South African I can complain a lot – like only a true South African can. I tend to find that splotch of grey in the cloud with the silver lining. I hate all the corruption and crime, my heart breaks hearing all the terrible things happening to innocent, good people. I find it so unfair how some people can get away with almost anything simply because they are famous or rich. I get annoyed with load shedding and the increase in petrol prices, and the need to look over my shoulder when I set my foot out the door. But when I read the news and my contact lenses almost stick to the back of my skull because of all the eye rolling, I still can’t help feeling offended by all these negative reports on my country. Cape Town is a beautiful part of South Africa. It’s the warmest place to be even when we are in the heart of winter, and the most vibrant even when the city skies are grey and bleak. We have a rich cultural background, and as far as I’ve experienced we all respect each other’s religious beliefs. We may be a little hostile on our off days, and we may take our frustrations out on the taxi’s in the morning (with good reason) but when it boils down to it, we are a city who embraces our diversity and unite in our differences. It’s a dream of mine to travel the world and explore different cities. To drive across the Golden Gate bridge in San Francisco, stand in front of the Mona Lisa at the Louvre in France, have dinner at the Burj al Khalifa in Dubai, and watch the Indian cricket team play at Eden Gardens in Kolkata. And when I get to go on all these adventures some day, when I get to see the wonders of the world in all its glory; there’s one thing I will be looking out for after winning the window seat from my husband in a quick game of rock, paper, scissors in the airplane. Looking out in the distance, getting that first glimpse of Table Mountain, I will be comforted by the sight of its beauty. Because in spite of its downfalls and imperfections, the City of Cape Town in the country of South Africa is the place that I call HOME. So far 2015 has been a really action packed year for me. I have learnt to take risks, to be brave and to take chances. Seeing as it is half way through the year I thought it would be fitting to reflect on some of the events that stood out for me. I went camping – twice!! I am a bit embarrassed to admit that before this year I have never been camping. The idea of sharing a bathroom with complete strangers and sleeping in a flimsy tent outside never quite appealed to me. But then my in-laws had their annual camping holiday planned for January which my husband looked forward to all year; and being someone who likes to try new things, I was excited to go despite my reservations . Being outdoors, waking up with the rising sun and breathing in the fresh ocean air were some of the beautiful life offerings that I took for granted before. The husband and I went camping again in April for an anniversary get away which was completely different to the experience I had when we went at the beginning of the year. The campsite had no electricity so at night it was so dark that I literally could not see my hand in front of my face. But we got to work as a team that weekend which brought us even closer together as a young married couple. I’m not sure how old I was when I first saw Titanic but I do know that ever since then I have had a very real fear of drowning. I never strayed too far into open water and I don’t particularly want to be trapped in a floating vessel half way across the sea. But this year I managed to conquer that fear. My husband loves fishing, and somewhere along the line he wanted to build a kayak so that he could take it out onto the water and fish to his hearts’ content. He never did build that kayak, but his father eventually bought one so that he could get the sudden need out of his system. When the time came to take the kayak out I jumped aboard, which was very daring of me since neither of us had any experience in kayaking (besides practising in the pool). By taking that chance I got to face my fear of drowning, and I also discovered a different kind of love and appreciation for the sea. April marked our first anniversary as a married couple, and we wanted to mark the special time with something memorable and adventurous. We ended up going for a zip line tour which was one of my most exhilarating experiences. Next on the list for us is bungee jumping!! Now we’ve been hiking before, but nowhere as hectic as this one. While on our anniversary getaway we were told about a hiking trail that ended by a beautiful waterfall. I have to say that about halfway up the mountain I was just about ready to throw in the towel and head back to flat land. But I pushed through because it was another experience Taufeeq and I got to share. We walked for what felt like forever, and eventually heard the majestic sound of flowing water – We’ve reached our destination!! The husband wanted to go further to see the waterfall that we’ve heard so much about, and we both felt that since we got that far it would be silly to turn back. So he wondered around while I sat at the water’s edge, keeping a look out for any hungry wild animals roaming around. He returned minutes later with a smile on his face and his hand held out to show me his precious discovery. It was perfect and beautiful and so well worth the trek. Looking back, we took a big risk hiking up that mountain alone in an unknown place with no one being sure of our whereabouts, but it was an adventure that we will always remember and a big risk we will never forget. I hope your year so far has been one for the books as well… And if not there’s still half way to go – make it count!